Ladies Capri ruffle leggings are made from soft and stretchy cotton spandex with three rows of hand gathered ruffles topped with a satin bow. 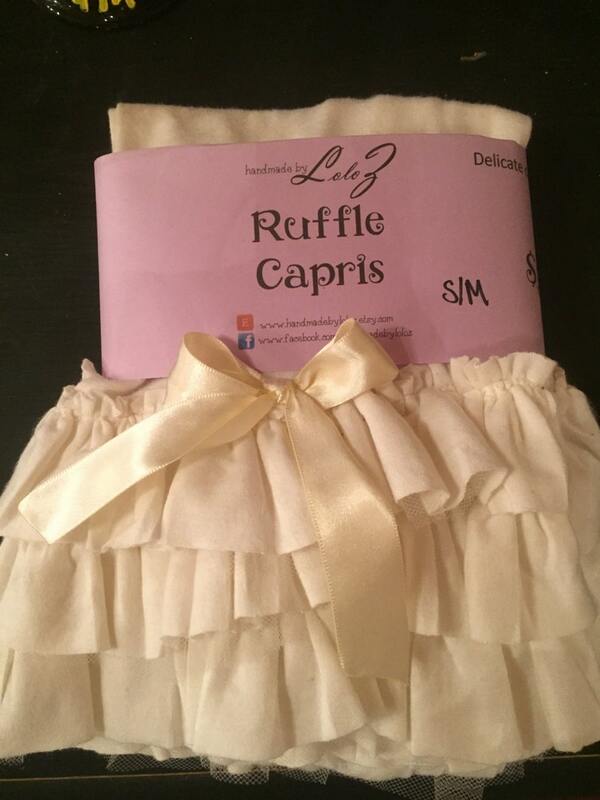 Each ruffle has a layer of leggings fabric and a layer of tulle. All seams are sewn with a serger. These leggings are the perfect way to layer up for cooler weather and still get a little use of summer dresses. They should be washed on delicate and hung to dry.